The BMW 7 Series is BMW’s flagship full-size luxury performance vehicles crafted with upgraded performance technologies that has completely evolved this series into a legendary status. Taking a step in the right direction, you will now learn what makes the BMW 7 series so special. Some of the luxury trims are 740i, 750i, 740e, m760i, and Alpina B7. All of these vehicles come with an inline v12 Twin Turbo engines behind Active Kidney Grilles that regulates air flow into the engine helping the vehicle perform better. Ambient lighting delivers the perfect glow at nighttime and a luxurious craftsmanship delivers full exclusivity. Drivers will feel the intellect of the design features and sensitivity of the smooth leather as they intuitively know this series matches their energies. 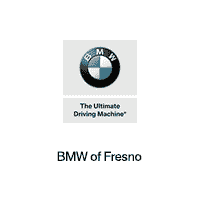 To get a full overview of the BMW 7 Series features, visit BMW Fresno for a test drive. Come now, real luxury awaits you!